Notes From the Underground: What is Counselling? Can Eat? In yet another instalment of Notes from the Underground, Raffles Press speaks to 2 of our school counsellors Mei Hui and Jeffrey in order to demystify the counselling process, and find out more about the common problems that Rafflesians might face. Click to read previous articles in our series here! P: When do you think students should try out counselling? Is there a rock bottom they have to hit first, or can they just come in and chat? Mei Hui: I think sometimes it’s helpful to just bounce ideas off someone else. Counsellors are non-judgemental, accepting, and we provide a safe environment. Sometimes when you share with other people you’ll be worried about burdening them with your troubles. But with us, there will be no such burdens because this is our job and we are here for everybody. P: In general, what should someone who hasn’t gone to the counsellor before expect on his/her first visit? Jeffrey: The anxiety associated with coming to see a counsellor usually has nothing to do with the counsellor, but the stigma associated with what other people would think. Honestly when you see us there’s privacy, so if you pick a time where no other students are around, then no one will actually know that you’ve seen us. The second part of it is to ask yourself, if I really want to be helped, what should my attitude or my engagement level be? Am I open to being helped and supported? That’s important to have as an attitude when you come for counselling. You can expect us not to have any preconceived ideas; the goal is to build a trust relationship with you so that we can work on something. The counsellor does not tell you what decisions to make, but we will help you think through the preparatory work you need to do before you take the next step. For example, if you want to have a relationship, are you emotionally ready for it? Are you prepared to give to this relationship, or are you there because you’re lonely? That’s the kind of questions we would ask. Mei Hui: A lot of students come in thinking that counselling is a magic pill, that if you come in for one session, then you’ll feel better, you’re magically cured. That’s not the case. Therapy takes time. We do not dispense medication like psychiatrists do. It will take more than one session before you feel better; be prepared to actually feel worse before you feel better. P: If I want to go for counselling but I am too intimidated to go on my own, can I bring a friend? Mei Hui: You can bring whoever you feel will provide support. But when you bring a friend, what does this friend mean to you? Are they just here just to hear you lament? Or are they here for the first session to get you comfortable, and won’t come afterwards anymore? We ask this because it could be an additional form of support available that we can tap on. Recovery often comes from the support around us — the more support you have, the more stable your recovery. Another important point is about whether you are comfortable with sharing the information. Though the counsellors will provide confidentiality and privacy, your friends may mistakenly let slip something. 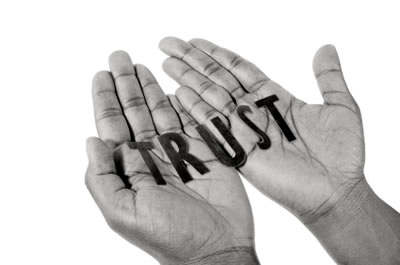 You need to say that you will trust your friend, trust that your friend may fail you. Alternatively, you can come with a friend for certain sessions and when the friend doesn’t come, we talk about things that are more personal. These arrangements can be made so that you are comfortable coming. Jeffrey: Sometimes it’s better to have someone who has worked with the counsellors before to come provide moral support for them to take the first step. Or sometimes, the friend could also be part of the issue that you want to work through together (couples therapy or peer relationship issues). P: So if I’m worried about someone else but that person is doesn’t want to go for counselling, I can come here and ask for help? Mei Hui: Yes. You can come on behalf of a friend that needs counselling, and inform us. If you feel that your friends are talking (seriously) about shortening their lives, you should inform us. Part of our goals is to make sure that we intercept some of the choices. You could do a blind referral, but we need the name of the student in full and at least a contact number or class. P: How long does each counseling session last and how many times would someone have to come? Jeffrey: One of the key things about counseling is that it’s different from a professional giving prescriptions; it’s more about sitting down with you, clarifying and scaling your problems, setting your goals and helping you through our journey towards our goal. We do give about 4 to 8 sessions as a start, and we make readjustments along the way. How fast you can overcome the particular issue depends on the alliance between the counselor and the student; the trust factor is key. Mei Hui: Part of that is also dependent on how much work you do outside that session; we only see you for that short half to one hour session. Usually what happens is that counsellors give the students homework to do, things you have to reflect and process on your own outside the session. If you consistently do that, you’ll move at a faster pace. P: Given the sort of trust or rapport that the clients need to build with the counselor, can I make a request as to who my counselor is? Jeffrey: Of course, the whole intent is to find a bridge that’s appropriate for you. If you look at the bridge and you think that it’ll break, it becomes very hard to tread together; you should give each other room to step back and reassess how to go ahead. At RI we have both male and female counselors, and if students are religious sensitive, we have a Muslim in our midst, if you are looking for someone with a perhaps more family based background etc, we have that spectrum to allow for different choices. There’s also the different approaches, some of our counselors do sandplay, art therapy, the rest of us are more “talking therapy” oriented. P: Do I have to see a psychologist or psychiatrist after the counseling? Jeffrey: What is the need of the client? At certain cycles of the counselling process the client may require medication as they may go into a dip. If medication is not a choice of help, there may be referrals out. Of course, all of this will be in consultation with the student. It’s a challenging thing, because we always want to place the client’s preferences and privileges at heart. We’re still speaking to students who have guardians: we want to maintain privacy, but we are accountable to the parents about the child’s well-being. P: How do I know if counselling works? Do I automatically feel better? What do you personally consider “success”? Jeffrey: At the end of each session the counsellor sits down with the client and asks: Are we progressing? This helps us see if everything is moving in the right direction. At the end of the day there will be goals that we are aiming for. When we close the case, it doesn’t mean that you cannot see us anymore — it simply means we have attained what we wanted. But if other issues arise, do drop by. Mei Hui: I think a success is when they don’t need help any more, which is when the student has resolved issues, learnt coping strategies, and can manage by themselves. That’s really quite a big success. Then again, there are some students who require long-term support, and we don’t close the case until they graduate. There is no short answer to it. People tend to define success in terms of academics, but that’s not really how we define success. It is really about whether you have learnt ways to manage by yourself. P: If someone feels like they need help, but doesn’t want to do counselling for whatever reason, are there other avenues available to them to get help? Mei Hui: We have started to try and outreach more because we do know that there’s a sizeable proportion of the student population who are not willing to walk in or come and seek out help, and we’re thinking of ways to reach out to them. We’re working currently on a website that will be able to provide more information about counselling and links to resources, to provide students with credible information. At the end of the day, anybody who needs help should come and see us. Hopefully that will take the fear out of coming to see us, and people will be willing to take the first step to come and talk to us, because a lot of the things that we do are not so easily transferred to email or just read-a-book self help. There’s a lot to be said for having someone to speak to; the relationship you form with therapist is one of the key factors as to whether you get a successful outcome or not. Jeffrey: We also want to create a new platform to do a few things. Firstly, for people to access self help. But on that platform links to external referrals as well, because we believe that we’re not the sole proprietor, and we’re not prepping ourselves to be that. We want to provide a decent quality of help for every student that comes in, but there are some things we can’t do. So we want to create this online platform. P: Will the counsellors inform the teachers regarding my issues? Jeffrey: We have nothing to do with your testimonials or recommendations, so really you should feel free to share with us what you’re afraid of your teachers finding out. We are not part of the academic process. If you come in here and scold Mr Chan, Mr Chan will never get to hear it. It’s in respect of you and your current position that we embrace all that you say. However, should you tell me that you want to kill yourself, or Mr Chan, then I would have to ethically, professionally inform some external parties for the sake of protecting you both. We usually have a mutual agreement with the students about these sort of boundaries, where actions that may incur injury to other people will be reported. But we will definitely disclose meetings to you before we inform others, then work with you. If you say that you don’t want to inform your parents, then the counsellor will find out how best to approach this matter in a manner that you are comfortable. Mei Hui: Also, if you have been harmed or abused, we have a legal responsibility to report it. P: So will reports be kept about my counselling? Jeffrey: We do keep professional records for accountability. However, these records are not public, and access is only at the Principal/Deputy Principal level during an emergency. It’s also for us to keep track of our progress, because we see many students, and each one is sharing a storyline with us. If we don’t remember it, then mistrust will be built and it will spoil the counselling journey. P: You’re sure that records will be strictly confidential? Jeffrey: Yes. Your records will be crunched 7 years after you leave the school. P: Do you believe that counselling faces stigma in RI? If so, why is this the case? Jeffrey: I think as we have begun to speak to parents, to do presentations to the Year 5s, some of this stigma is coming down. Also, you have a counselor in every primary and secondary school. Beyond that, MOE is also increasing the number of career guidance counselors, so there is more being done in this area, and that will lessen the stigma over time. Now, I have a whole class of RI Year 2s who will flood down to RGC during recess. Likewise, we have got some of the regular visitors who sleep at the Underground for a while, without feeling ‘I just came out from RGC, oh dear’. Mei Hui: Another reason could be the general stigma associated with mental illnesses in society. The whole concept of mental illness is not very well-known, so people fear it. It’s not physical, so nobody can see it; it’s not so obvious, so it’s possible to hide. If you had a physical disability, you would be forced to deal with it. But because mental illness is something that is possible to hide, many people choose to hide it rather than be open about it. One of the things we’re trying to do this year is to organise a mental health awareness week to demystify mental illness in the student population. P: What are the most common problems Rafflesians visiting RGC face? Jeffrey: Stress is a very big one, boy-girl relationships, depression and self-esteem issues are also common. Academic problems too, students come to us to find a way to improve in their studies, improve concentration, studying strategies or whatnot. We get divorced families or families in stressful situations as well, and teenagers struggling to find out more about themselves. Teenage years are really a time when people really struggle about identity, about the meaning to life, etc. Mei Hui: Wearing the RI uniform does not immunise you or provide a protective shield against common problems. People still experience tragedies and have problems of their own: loss, grief, sickness – all kinds of problems.